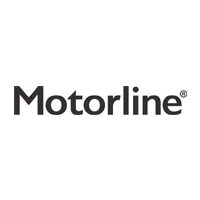 With over 40 dealerships located in and around Oxford, Bristol, Surrey, West Sussex, Kent and Wales, Motorline Group is a highly successful family-run car retailer. Motorline Group dealerships sell new, nearly new and used cars and vans from a wide range of brands. The company offers customers a good selection of vehicles for a variety of budgets, from luxury automobiles to compact city cars and SUVs. Motorline was founded in 1972 by Tom Obee Senior and to this day, the business continues to be run by the Obee family. In 1976, the company launched its very first Toyota franchise. Fast forward to 2016 and Motorline became one of the largest Toyota brand partners in the UK, following the company’s acquisition of Westlands Motor Group. From small beginnings, Motorline has risen to great heights. In fact, the business now sits among the top 50 largest dealer groups in Great Britain, employing over 1,000 members of staff. At Motorline, customers looking to buy new will find the latest offerings from 11 leading brands such as Lexus, Renault, Peugeot, Nissan and Volkswagen. If you are looking to purchase a nearly new or used car, you will also be well catered for with vehicles from reputable brands like Audi, Citroen and Porsche. Their dealers stock cars to suit many purposes, from reliable city models like the Kia Picanto, to powerhouses like the Maserati GranTurismo Sport MC. With cars for sale to suit a range of needs, Motorline remains a firm favourite with many UK drivers.